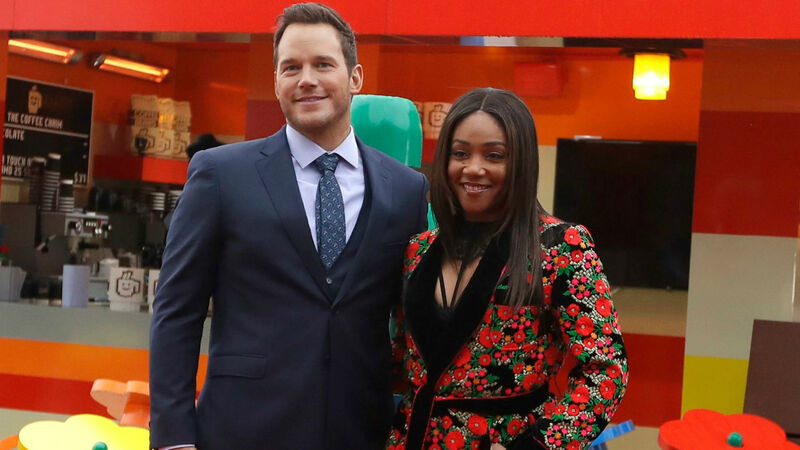 It’s always interesting to learn how celebrities first met, and that includes when Tiffany Haddish met Chris Pratt 10 years ago. During an interview with BuzzFeed, Haddish, who voices a character alongside Pratt in The Lego Movie 2: The Second Part, shocked him when she revealed how long the costars have actually known one another. Pratt still couldn’t wrap his mind around what the Girls Trip actor was telling him, so he asked, “Are you messing with me? What was this for? When was this?” Haddish then revealed they met somewhere around eight, nine or 10 years ago. “I can’t believe I can’t remember this,” Pratt declared. According to Haddish, the audition involved improv: “And it was just like moving everybody, this person, that person, they was pairing people up and stuff.” Haddish never revealed what project they were auditioning for, but we definitely want to know more — and stat. We’re sure Pratt has had a lot of auditions over years, meaning he probably doesn’t remember everyone he’s encountered. There’s a good chance he ran into many other celebrities at auditions that he totally forgot about. Even if he doesn’t remember doing improv with Haddish, it’s kind of kismet that here they are, about 10 years later, reuniting and finally acting together.